Are you searching for new marine ropes for your boat? Look no further, as Ropes Direct is here to help! Whether you’re a competitive sailor preparing for your next race or the owner of a luxurious holiday yacht, we guarantee, our extensive marine collection has something to suit your needs. We currently supply a comprehensive range of yacht ropes, dinghy ropes, docklines, floatlines and braids-all of which are manufactured to the highest standards and are perfectly suitable for the mooring and rigging of your vessel. They are designed with maximum safety and comfort in mind and, thanks to a diverse range of options available, it is possible to colour-coordinate with your boat. Take, for example, the 4MM Evolution Race 78. This particular dinghy rope is available in blue, red, and black and it is suitable for use as a halyard, sheet, control line, kicker, backstay and much more. Here at Ropes Direct, we pride ourselves on the durability and quality of all of our products, including our fantastic selection of boat ropes. They demonstrate excellent breaking strengths, they are suitable for a diverse range of applications, and they are all sold cut to length by the metre. 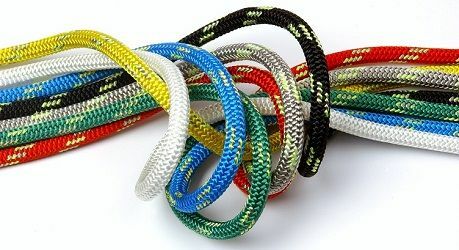 Browse the full range today and, if you have any questions about our yacht ropes, please feel free to get in touch. Simply call us today on 01692 671721 or send an email to info@ropesdirect.co.uk.